The location of a new Wawa convenience store on the campus of Drexel University at 34th and Market streets. 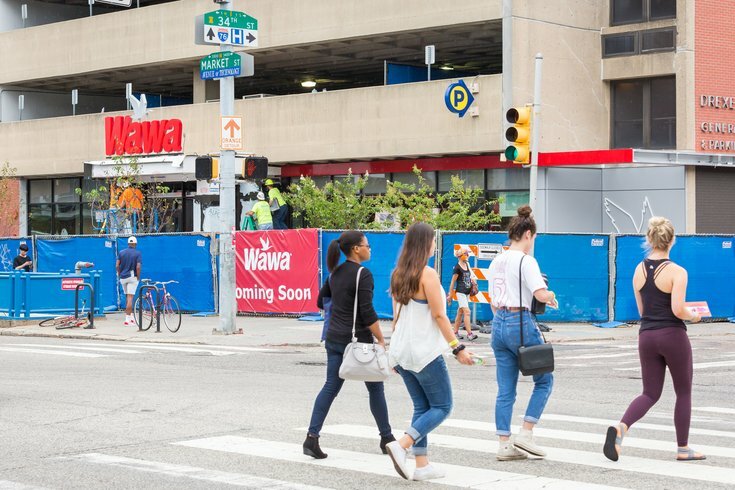 The Drexel University community will welcome its very own Wawa on Friday when the long-awaited convenience store opens at 34th and Market streets. Plans for the Drexel Wawa first surfaced in March when the city posted zoning plans for the new location. The Wawa store, which will occupy the first floor of the university's General Services Building, will be the biggest in Philadelphia at 8,760 square feet. There are two other Wawas in University City – at 36th and Chestnut streets and 37th and Spruce streets. The store will offer delivery through GrubHub, Uber Eats and Wawa's own mobile app. As part of its partnership with Drexel, Wawa will expand its support for the A.J. Drexel Autism Institute, funding research and evidence-based interventions for young children showing early signs of autism. “Wawa’s support is critical to our being able to continue this very important line of research which is intended to extend the reach of autism early intervention services,” said Craig Newschaffer, director of the institute. There will also be a "Hoagies for Heroes" hoagie-building competition between the Philadelphia police and fire departments, which will team up with a student volunteer EMS team. Charities of choice from all competitors will receive a donation on behalf of Wawa. The Drexel location marks Wawa's fourth new store to open in Philadelphia in 2018, including a South Street location and two new stores in Center City.